Maker spaces are creativity areas that give visitors a place to create, explore, or tinker with an assortment of technologies ad/or hands-on materials. WHAT KINDS OF MAKING CAN STUDENTS AND STAFF DO? 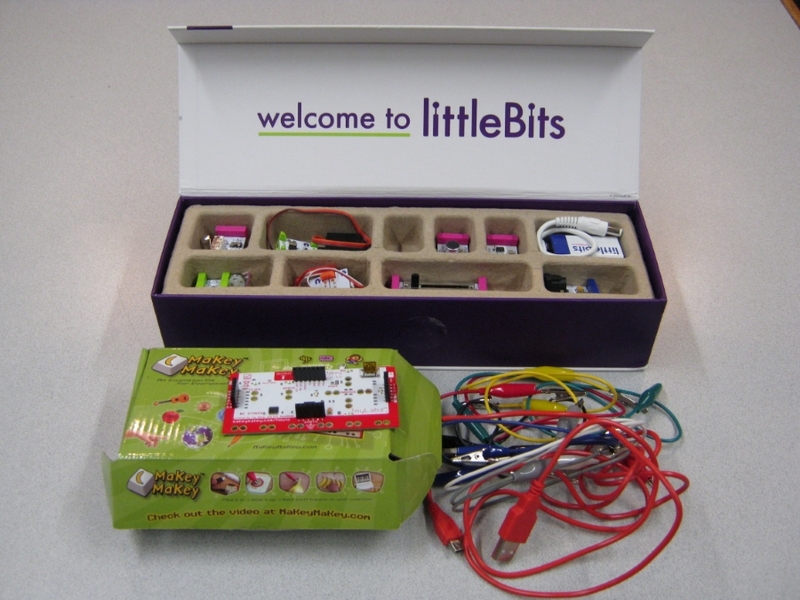 In Maker Spaces, students use technologies such as computers, cameras, and software to design and complete digital projects, including basic robotics. Students also have the opportunity to create projects that require learning hands-on skills. Makers use materials, such as paper, yarn, duct tape, cardboard, crayons, markers, paint, and craft supplies. Projects using recycled materials allow students to think up alternative uses for items often discarded. Some maker projects are individually produced while others require collaboration as students work together to design and create their projects.